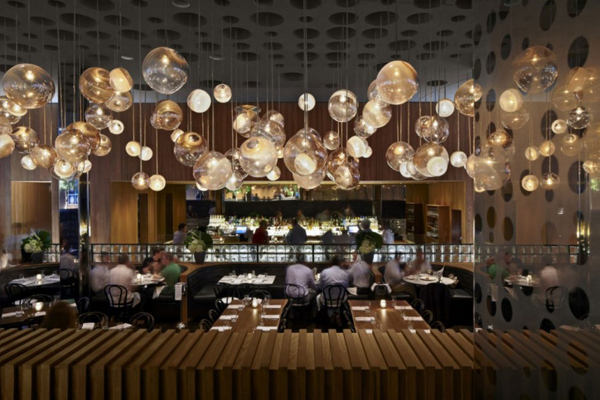 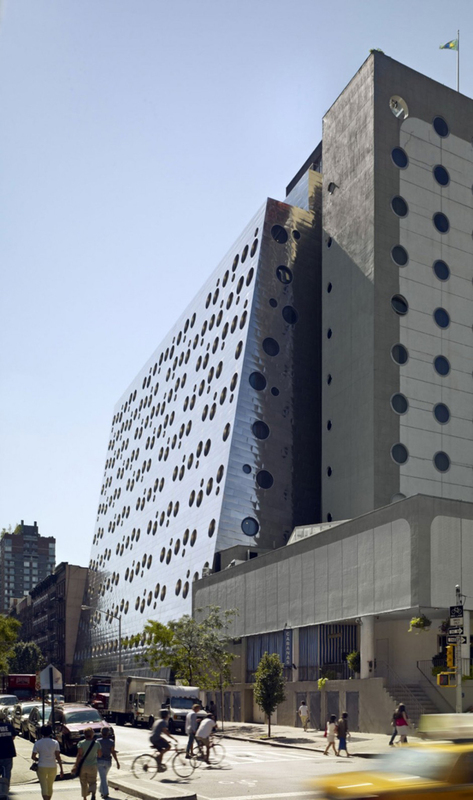 The 12-story boutique hotel is located in the Chelsea neighbourhood of New York City. 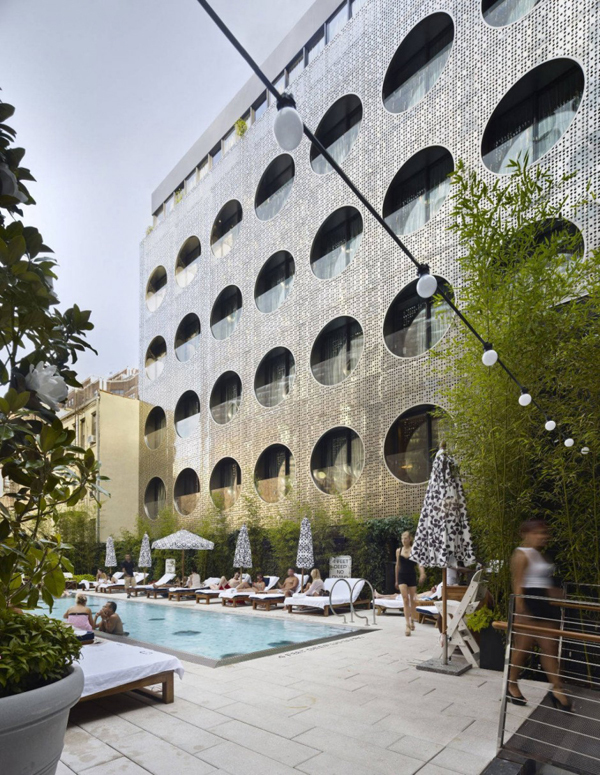 The building was designed by Handel Architects as a conversion of the main annex of the existing building into the Dream Downtown Hotel. 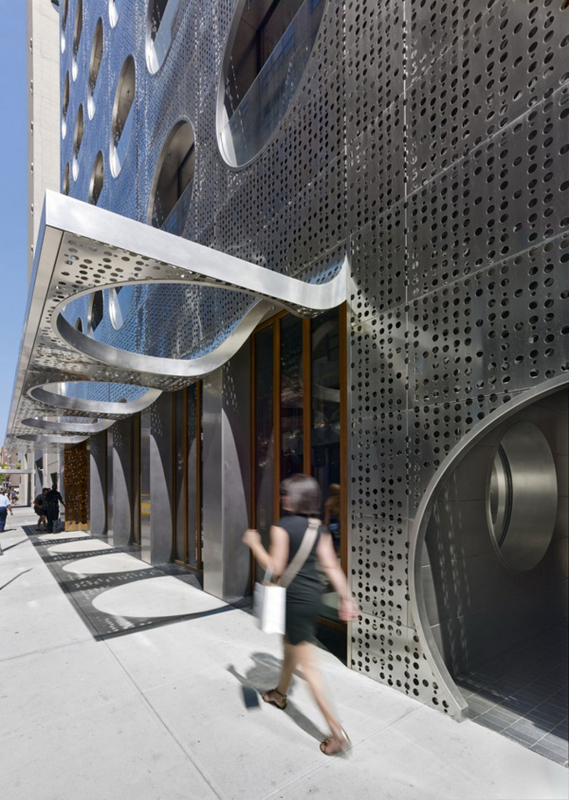 Along the 17th Street exposure, the sloped facade was clad in stainless steel tiles, which were placed in a running bond pattern, refering to the original mosaic tiles of the Union building that once occupied the site. 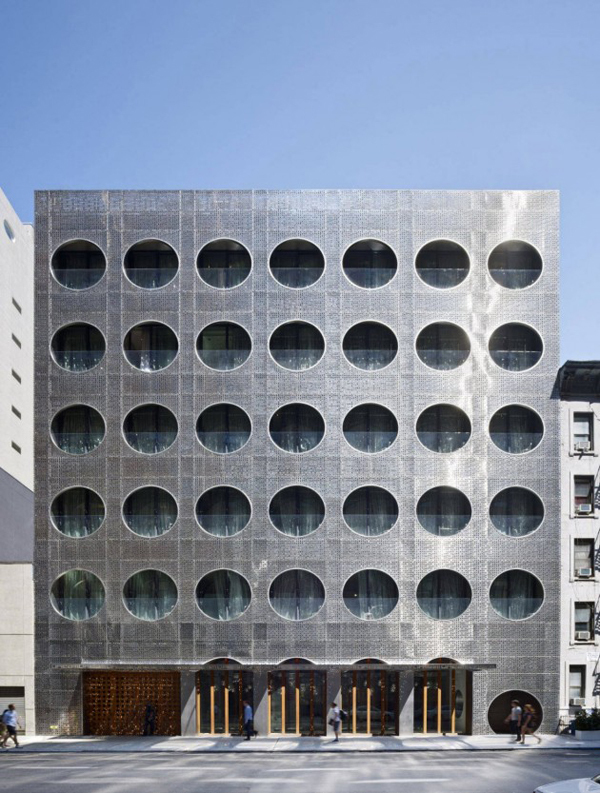 New porthole windows were added, one of the same dimension as the original and one half the size, loosening the rigid grid of the previous design, while creating a new façade of controlled chaos and verve. 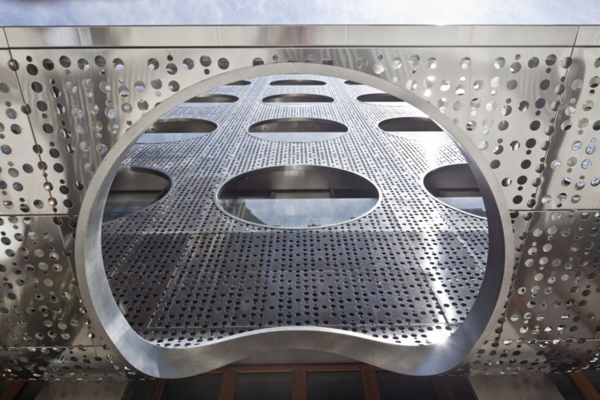 The tiles reflect the sky, sun, and moon, and when the light hits the façade perfectly, the stainless steel disintegrates and the circular windows appear to float like bubbles. 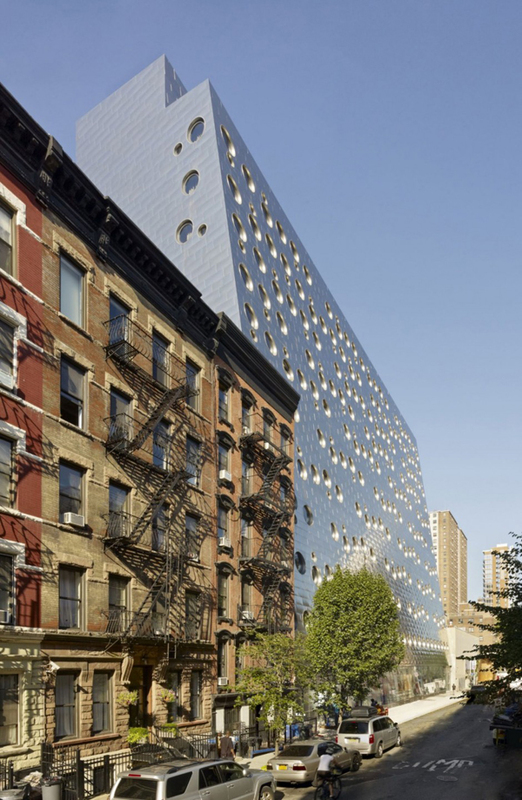 The orthogonal panels fold at the corners, continuing the slope and generating a contrasting effect to the window pattern of the north façade.